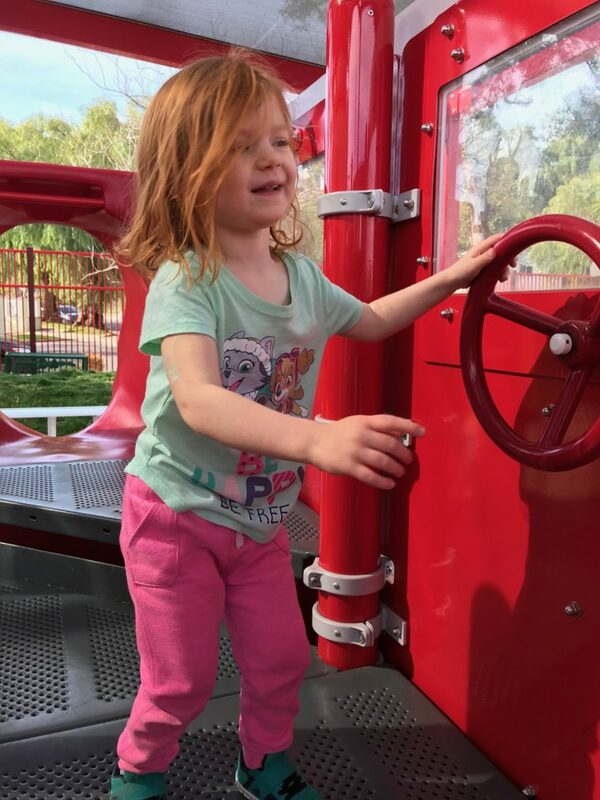 My daughter has beautiful, beautiful hair. The color. The curls. The natural swoopiness of her bangs. The only problem is that, for her first three years of life, she has hated having her hair touched — let alone washed, brushed, or pulled back. Pair this with her love of the outdoors and food, and you can see we’ve got some tangles going on. All day, every day. Of course, it’s a problem that compounds itself. The longer she goes between brushes, the more tangles she gets, and the harder it is to brush and wash that beautiful, beautiful hair. But! We’ve had a serious breakthrough on this front. And I’m happy to say that after years of screaming and wiggling and, basically, toddler hair torture, we’ve come out on the other side. Here are the three things we did — that actually worked — for us. 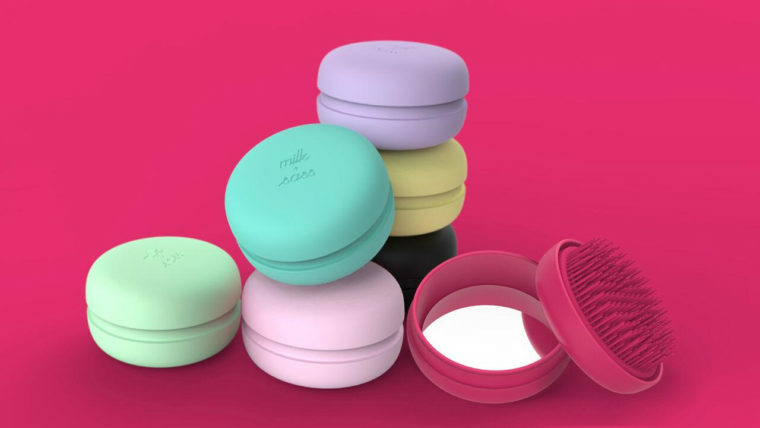 milk + sass sent me a few of its Macaron for Hair detangling hairbrush and mirror compacts ($12.99) and, mamas, they are SO adorable and totally work at gently detangling hair. They’re made for adults, but my daughter loves them. We like opening them up, talking about the bright colors, making funny faces in the compact mirror together — and, because they don’t look like a traditional brush, they really seemed to help break her negative hairbrush association. 2. Copious amounts of detangler and leave-in conditioner. In the bath tub. After the bath tub. Before brushing. All the times. 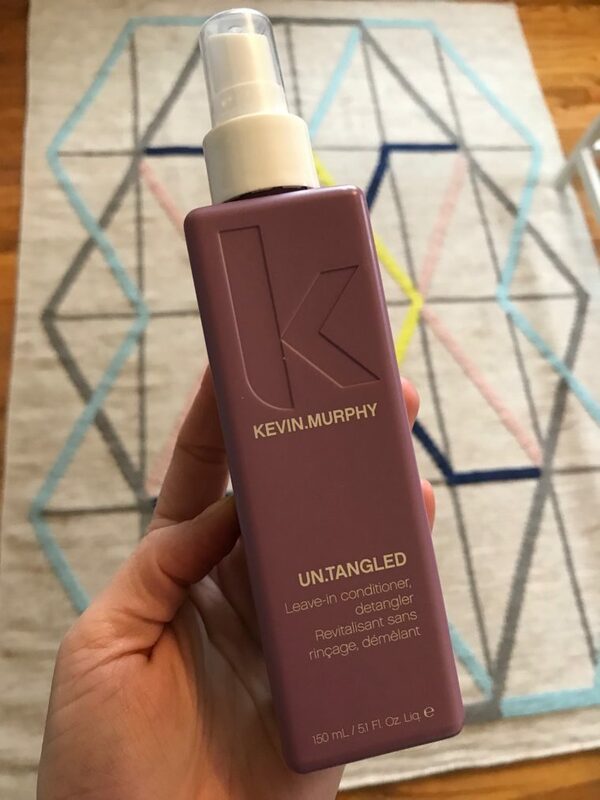 Regular conditioning really does help to prevent tangles from starting in the first place, and it helps to loosen them once they’re already there. And! We made sure to include Gwen in the selecting and the purchasing of the leave-in conditioners. She likes purple, so we ended up with this (which really is great — for her hair and mine!). 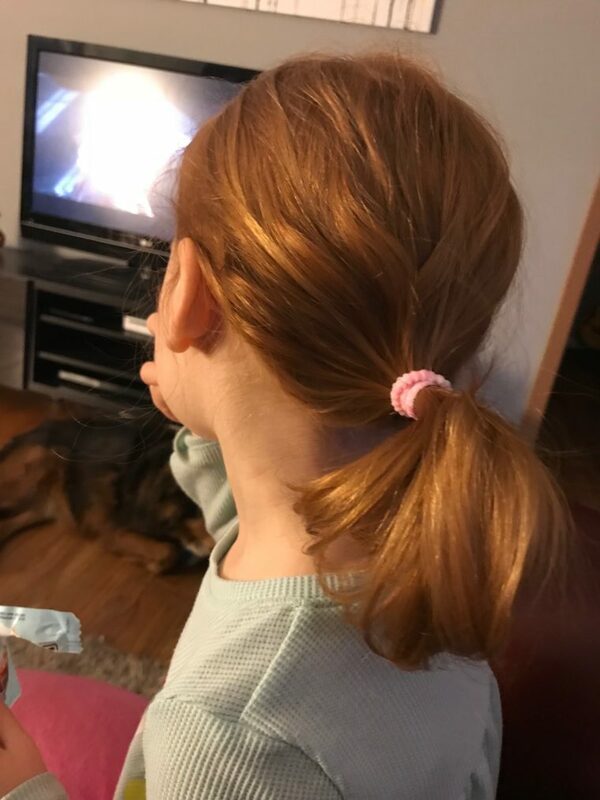 This ponytail brought to you by m&ms and television.